Choosing Diamond Eternity rings: what should you consider? https://www.gerardmccabe.com.au/kaleidoscope-collection#!/Kaleidoscope-Ring/p/124350505/category=32241150An Eternity ring is a token of your eternal love and devotion. 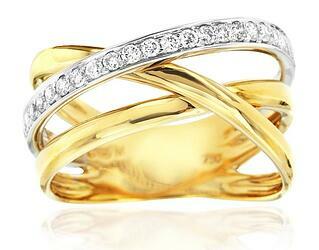 Traditionally Eternity rings are for couples who have been married between 10-50 years. However times are changing, and couples who have been married for even one year can’t wait to celebrate their devotion to one another with this token ring. 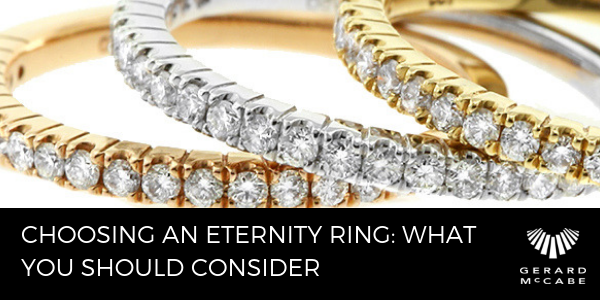 But what should you consider when choosing an Eternity ring? 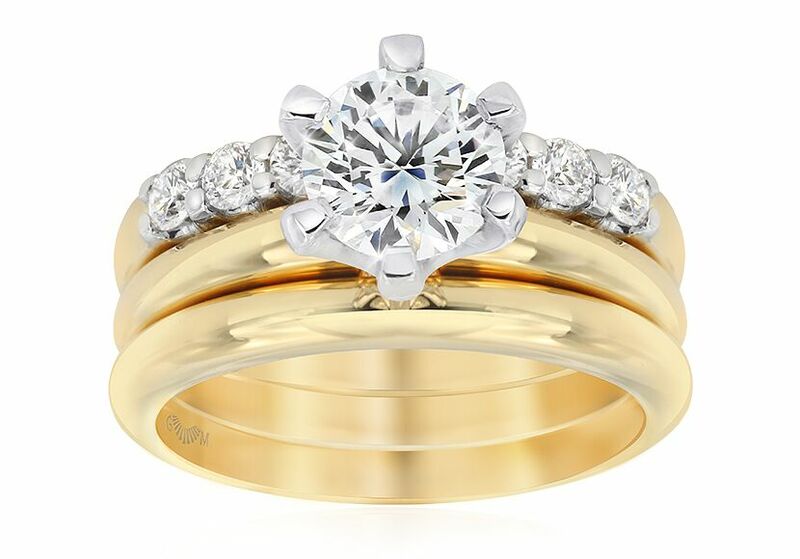 They are designed to sit with your bridal and engagement ring set, so the ring should be designed to fit accordingly. Many people do stray from this tradition and opt for something to sit on the opposite hand. If you want your Eternity ring to be added to your bridal ring set, you should consider how all three rings will look together. Your engagement ring is still the centrepiece of your look. The addition of your Eternity ring should enhance your engagement ring, not overpower it. The Eternity ring should also sit comfortably next to your engagement ring. At Gerard McCabe we design our engagement, wedding and Eternity rings to perfectly fit together. This means that the rings will complement each other well and will wear evenly next to each other over the years. Consider matching not just the design of your existing rings, but also the quality. Choose diamonds of the same grade as you will notice variations in colour between the diamonds with the rings right next to one another. Keep your metal consistent too, for example, 18ct gold with 18ct gold or platinum with platinum. Not only will this look fabulous because the colour of the metal will be the same, it will also help the rings to wear better and give more longevity to them. Gold is softer than platinum, so if a gold ring and platinum ring are worn next to one another you will notice far greater wear. 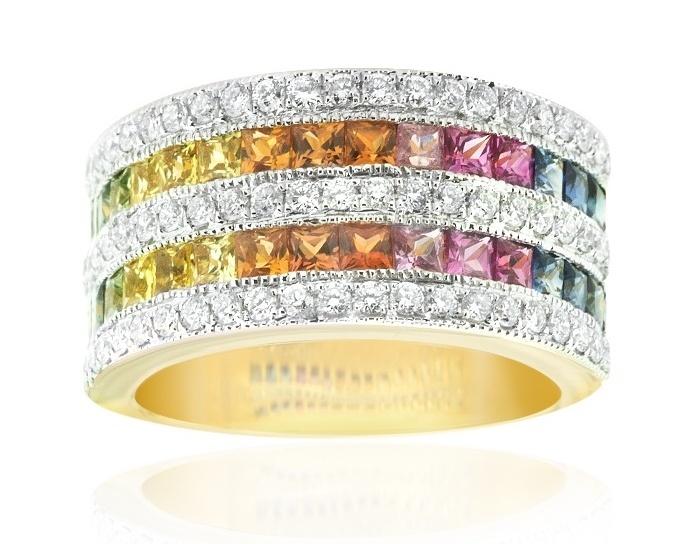 Incorporating coloured gems into your Eternity ring can be a great way to personalise your ring set. 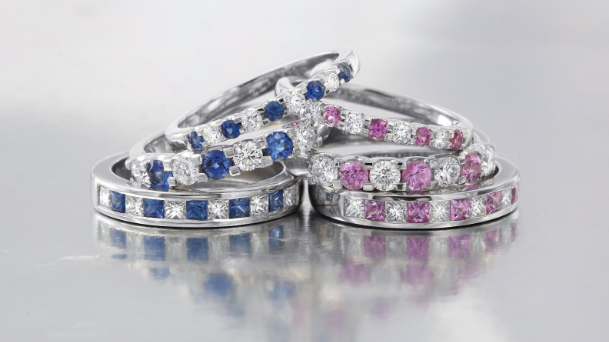 Popular choices include rubies and blue or pink sapphires. Still consider if this will match the style of your bridal ring set. 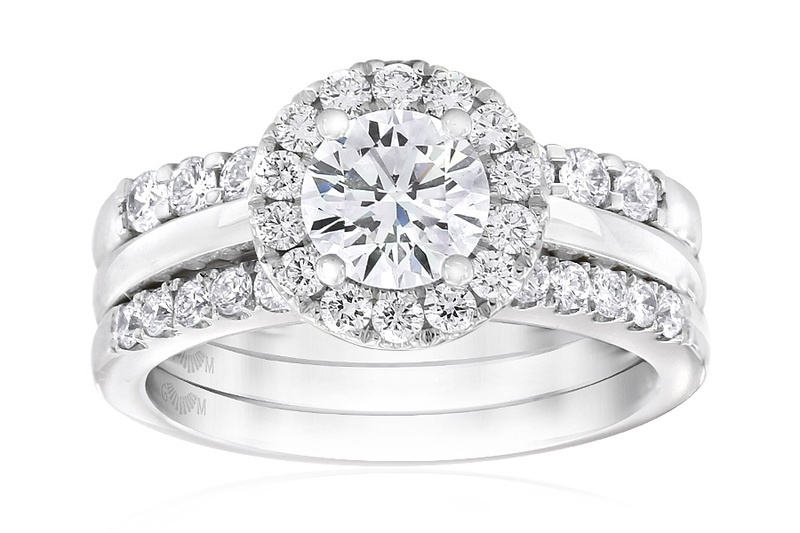 If your bridal ring set consists only of white diamonds, coloured gems will often match well. Classic and Elegance ring designs with blue and pink sapphires and diamonds. Do I have to wear my Eternity ring with my other rings? 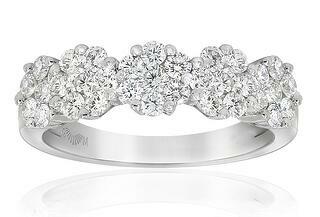 Many people will say that they love their bridal ring set the way it is, and don’t want to add the Eternity ring. Like most jewellery, it all comes down to personal style and choice, so there are no hard and fast rules. As with the Eternity ring, it’s the sentiment that counts not where it is worn. If you like an Eternity ring that is a bit too large to wear with your bridal set, it’s the perfect opportunity to wear it on the opposite hand. You can also opt for a completely different style and not worry about matching colours and quality. Remember, there is no right or wrong style of Eternity ring. Choose something you love and that you are happy with having on your finger for eternity. Have your partner choose with you, and think about getting one for them too. If you’re not sure which style you should opt for, book a consultation with the team at Gerard McCabe who can guide you through your options.